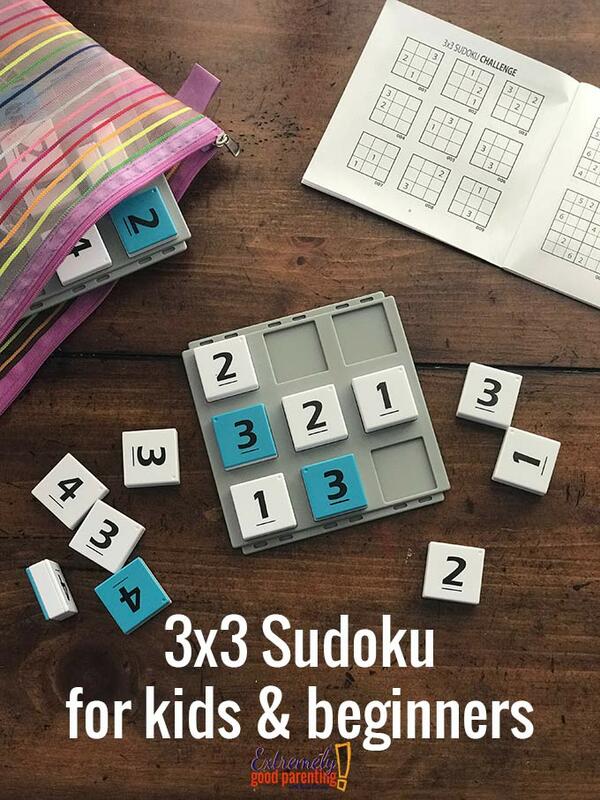 I have always enjoyed games and especially those that exercise my brain so it was exciting to be able to share one of my early favorite games in Sudoku. 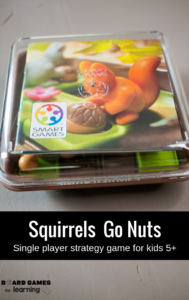 You will notice that this post and these photos originally appeared on our parent website, Extremely Good Parenting, and was written by guest author, Teresa. My almost six year old granddaughter quickly caught on to the concept and experienced great success. It was exciting to see her brain working as she rationalized and problem solved, recognizing errors and quickly determining which numbers to switch. Even the earliest learners can learn to count and identify numbers using sudoku tiles. 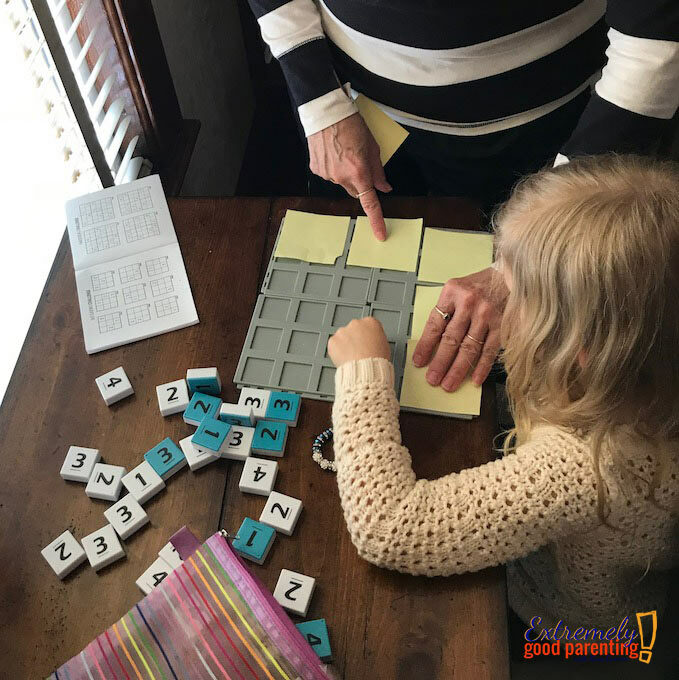 Kids can learn to identify and recognize numbers even if a parent or teacher tells them which number to select and exactly where to place the tile. Then, together you can count in numerical order. Kids that are older can learn to think outside of strictly performing in numerical order and can start recognizing patterns in the way tiles are placed. Kids have to not just think through basic sequences, but they have to have some spatial understanding to recognize patterns and they must be prepared to make decisions in placing tiles… even if they might be wrong. 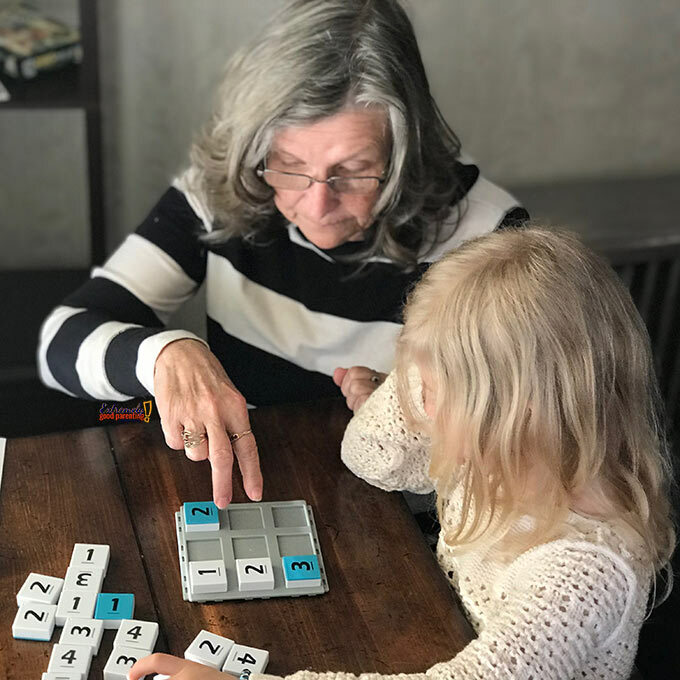 Because tiles might be wrong, it also encourages flexibility while learning to make decisions and changes as needed, which is an important life skill! Kids have to notice when they make mistakes, predict outcomes, and have an overall attention to detail. 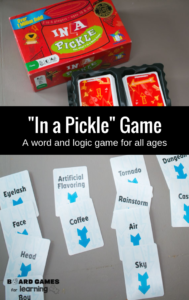 It’s a fun way to teach a skill that is otherwise kind of difficult to build in kids. Editor’s Note about our Sudoku game board: Many have asked where we found our blue and white sudoku tile board. 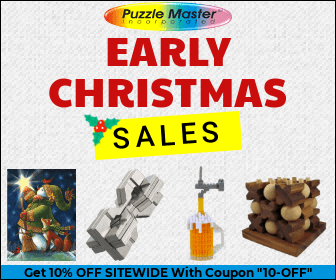 The only current place I can find it is on ebay here in our partner link: TL Toys Sudoku or try one of the wooden versions from Amazon below. Make sure that the child can identify each number being used. Explain the difference between a row and a column as well as the terms horizontal and vertical and ensure they have a basic understanding of each. Jenn identified how many tiles were in each row and selected the corresponding tiles, placing them in a row either vertical or horizontal in numerical order. Along the way she learned different vocabulary relating to grids (which means she is also learning the basics of using a spreadsheet). When teaching, next you would have them select the numeral one tile and place it in another row, emphasizing that they cannot duplicate a number in that row. At this point, it is easy for kids to complete the row that has two tiles. Repeat this process, again emphasizing that numbers cannot be duplicated in any row, both horizontally and vertical. For us, our tiles had the same number on both sides, but different colors. (Reminder, find our board on ebay here in our partner link: TL Toys Sudoku). This allowed me to place two or three tiles randomly on the board in one color indicating that those tiles could not be moved. Jenn worked to complete the puzzle, placing the numbers in the grid using the other color/side of the tile. If they discovered a error or duplication, they could readily identify which tiles to change. 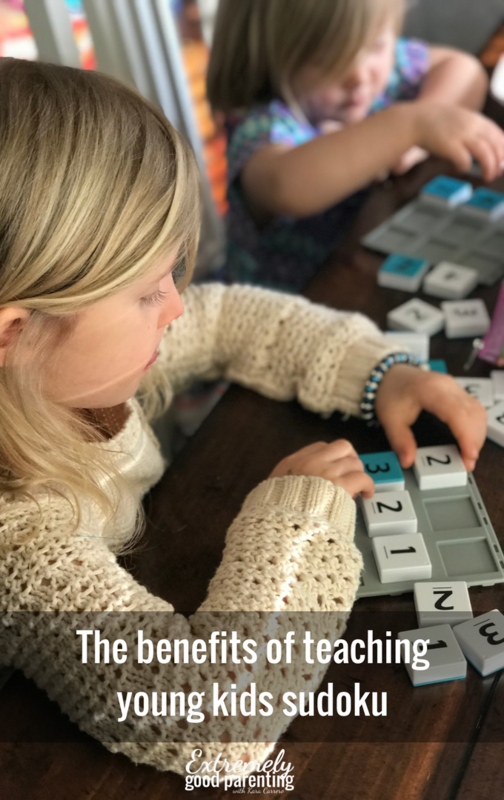 You can go through the same process, letting them explore how many tiles there, extending their range of numbers and critical thinking skills. In fact, we used sticky notes to cover parts of the board to introduce one more number at a time. Although we have not introduced the large grids (anything more than a 5×5) yet, it provided a great time of learning and interaction. Love sudoku and the skills it teaches: logical thinking and deduction, problem solving and perseverance! We also love playing Colorku, which is a version of Sudoku with colors instead of numbers. 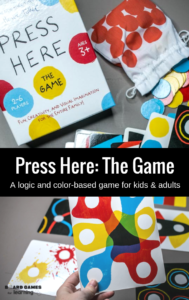 It allows us to play visually and cooperatively!